Our lovingly arranged location is one of the most extraordinary spots in Kassel. Inconspicuous from the outside, the loft houses IT companies and creative start-ups and provides the opportunity to visit us for a meeting or an event. Optimal traffic connections not far from the Kassel – Ost highway ramp, a public transport connection and an adequate amount of free parking options ensure optimal planning reliability. If you are looking for conference rooms or an event location, let us make a non-binding offer for you! We will be happy to advise you on your wedding, your company event or a conference. 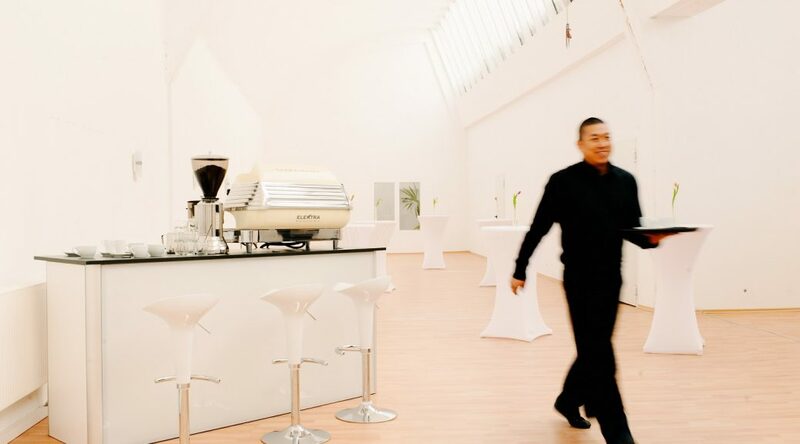 For groups, we offer a cocktail workshop with our bartender, and our barista will impress you with his coffee knowledge in our coffee workshop. Our slightly different location is sure to impress you, so go ahead and arrange a date to come and check it out.